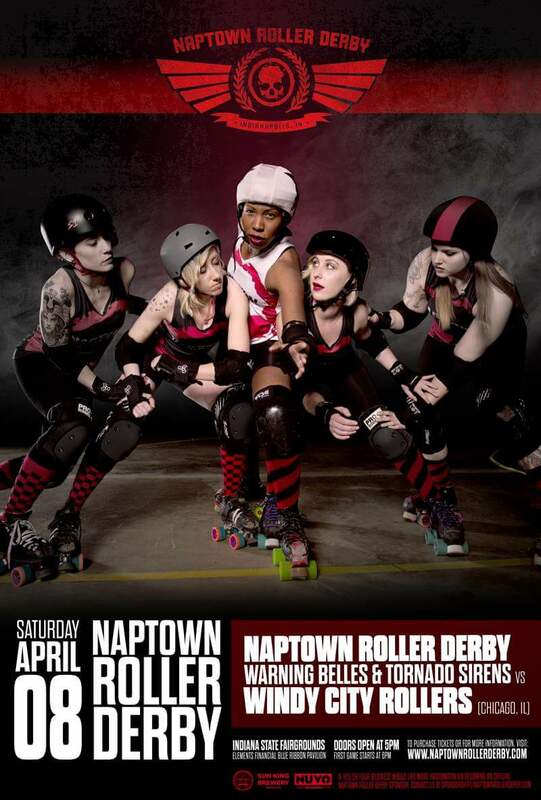 The Warning Belles and Tornado Sirens will be back in action at the Elements Financial Blue Ribbon Pavilion on Saturday, April 8th to battle the Windy City Rollers out of Chicago! Doors open at 5:00, with the Belles taking on the Second Wind at 6:00. That will be followed by your internationally-ranked Tornado Sirens battling the Windy City Roller All-Stars! Both bouts are sure to go down to the last jam! Presale tickets will remain on sale online until 10:00 p.m. the night before the bout. Ticket vendors will have pre-sale tickets until approximately 5:00 p.m. the night before the bout.